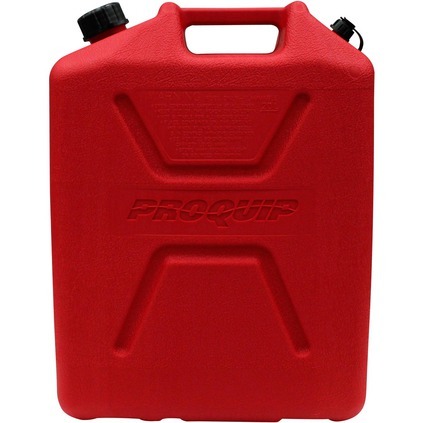 Pro Quip Plastic Fuel containers are Australian Made, and use interchangeable spare parts which are available in retail display packaging. 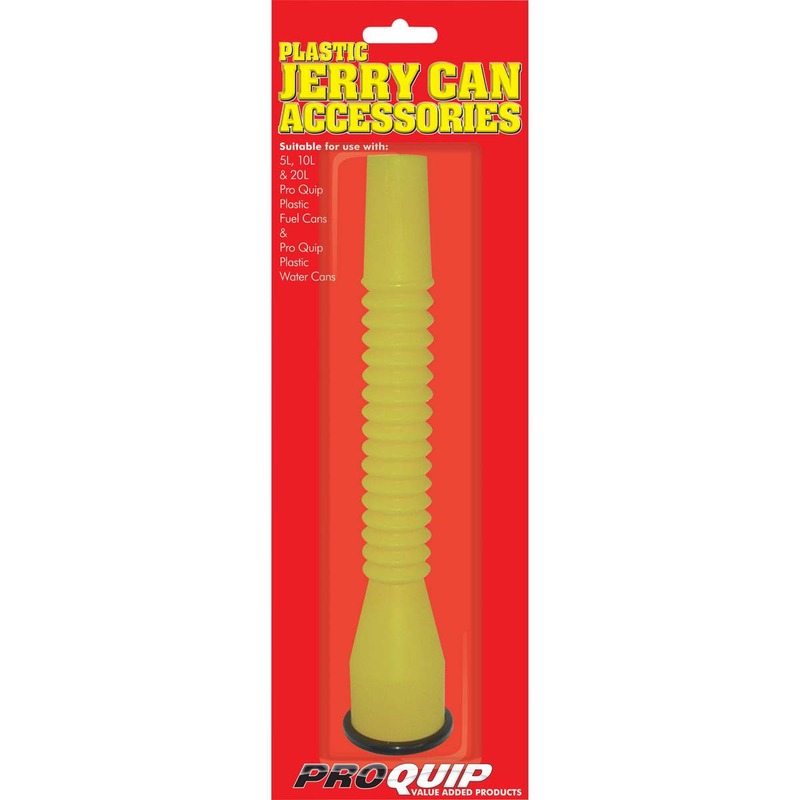 Pro Quip Fuel cans come with an internally stored pourer that will not get contaminated with dust etc. 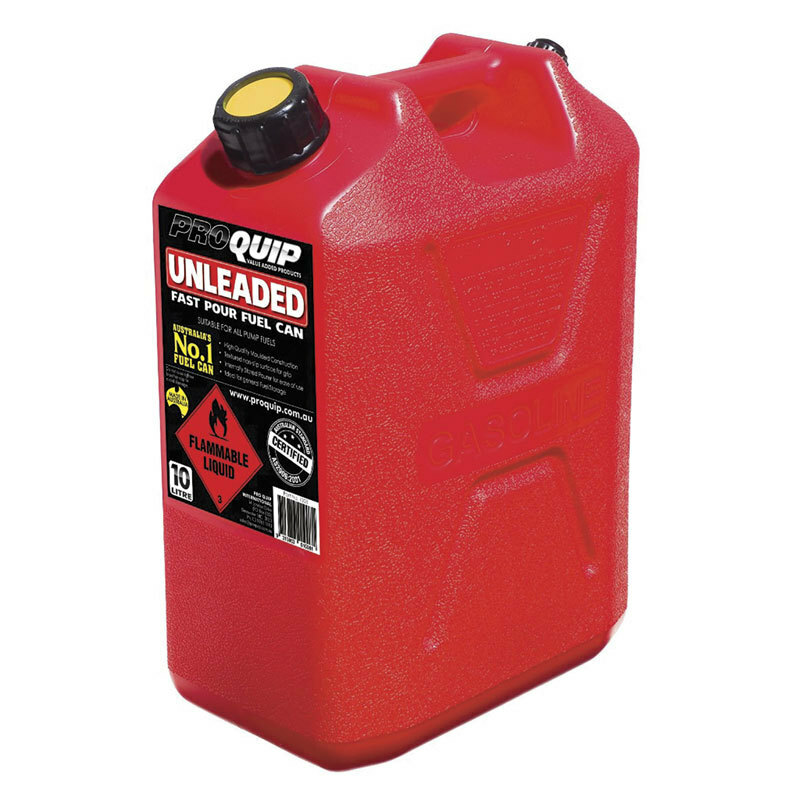 and pours freely without “glugging”, using the breather on the rear of the can.